Like Wartower (and I'm sure everyone else), I'm not going to copy and paste the old thread, but here's a link to the album! Got the super bridge about halfway done, but I ran out of wood and realized that there's not really a way for me to build down conveniently, so I'm going to have to start where I want the bridge to end and work upwards from there to meet in the middle. Should turn out better this way, I hope. Haha. And once the bridge is completed, I can start on the real huge project. :) Sorry for no video update this week, but I figured you guys probably didn't want to see me holding Shift and placing wooden planks and stone brick for twenty minutes. Hahaha. Thanks, man! Making it as smooth and flowing as possible is turning into some pretty hard work, but it's going to pay off in the end, I think. I'm just surprised I haven't fallen off of it yet. Haha. Glad to see more work done to the bridge. It's really nice so far! So far. Hahaha. Thanks, daydrifter! If you guys really like the bridge that much, and if the project actually turns out, I can't wait to see your reaction to that. Haha. After that traumatic enchanting incident, I decided it was probably time for me to look for some more diamonds (notice the health of my pickaxe). 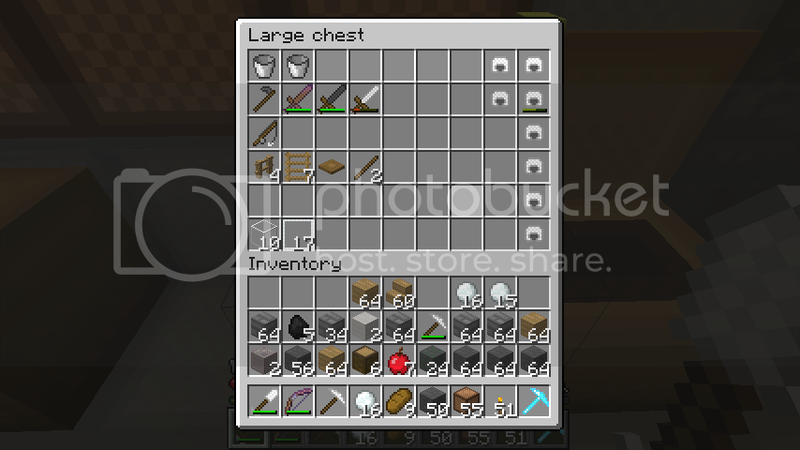 I hadn't been mining but two minutes when I came across a vein of six. I was very happy indeed. And then this made me even more happy. =] Only took twenty levels (notice my Bane of Arthropods IV sword is gone, =P, haha). Look at all my helmets! =D So happy. And that's about it. Didn't work any more on the bridge because I'm still trying to find a good spot for the end. I'm thinking about building another house somewhere and having it connect there, but I'd be basically building a house only to be building a house, so I dunno. Haha. I'ma finish the bridge one day, though. 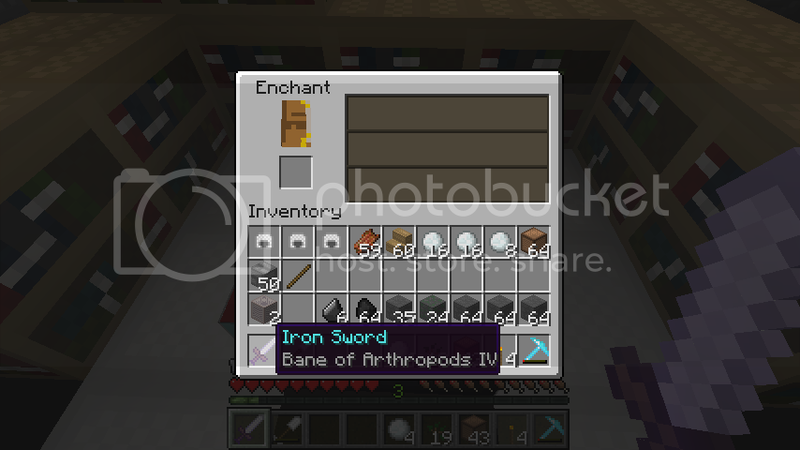 Dat pick axe. Glad you got a nice enchant! What kind of things do you plan to get with it? Just curious. Do you intend doing something with all those snowballs ..? or just randomly throwing them at zombies? I didn't even notice the snowballs lol. Gives me an idea...going to take a trip to the Nether and chuck snowballs at those damn blazes. Protip- You can press ALT while pressing the shift button, and until you open a furnace/chest/inventory, any other thing- you stay sneaky. I'ma start using Comic Sans for everything now. Yeah, I'm gonna to be that guy. ;) Haha. I guess I could build another house. Haha. You guys talked me into it. =) I'm feeling a log cabin on top of a mountain. The snowballs are used for the zombies, yes. Haha. When they spawn on top of the spawner, I need something that does no damage but can knock them off, so there's eggs and snowballs. And a fishing rod, but when I reel them up... Yeah. I have a taiga within convenient walking distance of the mob grinder, so snowballs it is. =) Oh, and nice font, Zyrandar! Impact is one of my faves. 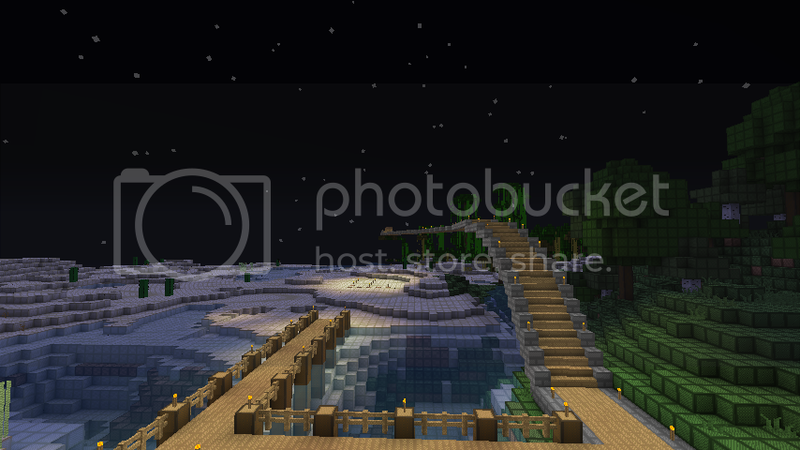 And yeah, it's in the latest snapshot. 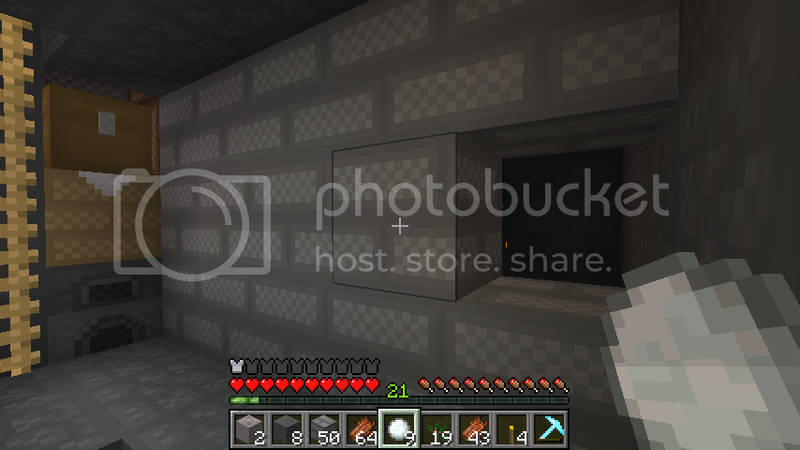 You also get XP from mining coal, redstone, lapis, emerald and diamond. And from cooking Iron/Gold. Well, I've noticed there's always somebody on every forum who uses Comic Sans, so I'ma be that guy. Haha. At least until I get tired of it. Getting XP from that stuff? Is this a bug or purposefully implemented? Seems like a lot of stuff to get XP from now. Purposefully implemented, as far as I know. Oh and a log cabin sounds nice. It'd look real nice in that taiga, especially when snowing. I like the idea of getting xp from ores, though I don't think you should get any for coal, and only get a small amount for most ores but maybe diamond. I used to use a mod that gave you xp for mining ores as well as for taming dogs. We should really get a 1.3 topic going again, in the off topic section maybe? Purposefully implemented. Very cool! 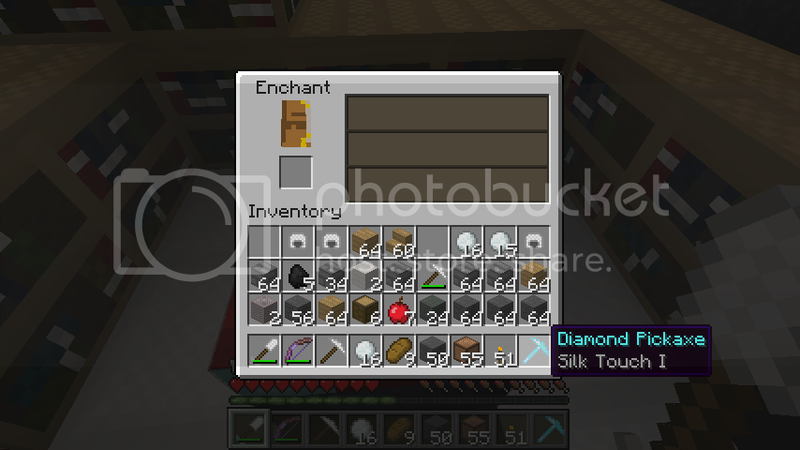 And having the max enchantment level lowered just makes it better. If only you could change the background of the posts... Hahaha. Oooh. Not a bad idea, daydrifter. The log cabin shall be in the taiga, then. But I think I'm going to make the bridge come to ground level at a lake and then make a road to the log cabin. Random thought: TNT should be enchantable. 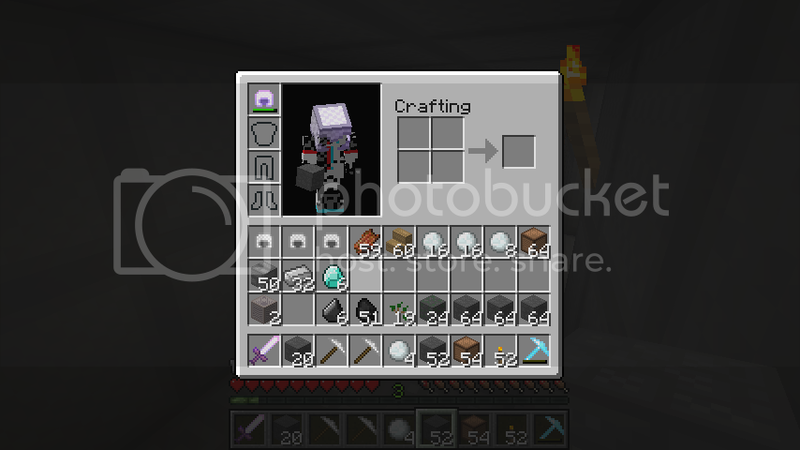 I agree with the ore XP thing; none for coal, very little for all other ores, more for diamond than anything else. We should get that 1.3 topic going; there's so many things I still haven't even heard about. Like desert temples?? Crazy! Awesome! Crazy awesome! Snow Golems... Are only good for snow farms. That is all. Yeah, I'ma have to agree with Zyrandar on this one. Snow golems can be pretty awesome. They were better before mob AI was really high, though, since you could get the mobs attracted to snow golems on another side of a cliff and the mobs would fall down. Haha. @Zyrandar - I would add more, but it's so awkward doing stuff around that cave because of the many tunnels and whatnot. But raising it up isn't too bad of an idea. Might try that one! Haha. Yeah, I guess. Maybe my ones are just glitchy. I hope you show us the hilarity of your snow golems in action in your next video update. :) I've never done much with snow golems, myself. The first and only time I bothered with them, they wandered off to get stuck in holes or small caves. They are rather cute and silly, though. @Wartower, what Zyrandar said. Haha. Snow golems also used to glitch out of... I guess you could call them bunkers. Two block high rooms, anyways. They don't seem to do that now, at least, not with me. @Zyrandar, log cabin it is, then! Or two or three or a small village, even. I think that'd be nice, but a lot of work. Haha. @daydrifter, I shall do that! =) Hopefully I'll do that tomorrow and get it uploaded Wednesday. For some reason, my snow golem also likes to go to the nearest hole in the ground. Haha. It's pretty funny. E3!!! Wow, have fun man! :D You should tell us all about it! Dude, you're at E3??? Insane! I was going to say - "Isn't E3 in Calafornia? And doesn't T_gilbert1 live in Florida?" That's like me saying ... "Oh . .I'm gonna go visit my uncle Sefton. Who lives in Vancoover. That's in Canada. Did I mention I live in England?" heehe .. yeah .. I figured you was actually watching it on TV or something. .or at least that's what I'm guessing "G4" is? Hahaha. Yeahhh. It would be a long ways to travel. Besides, I can't go to California. I have a Thermo test on Thursday night. Haha. Yeah, I tried shutting down, putting it on stand-by, playing with the DirectX 3D stuff, playing with the monitor settings, but nothing's worked yet. I'm thinking it may be a waiting game like you said.